Though I had certain difficulties with suspension of belief at times, this was a thoroughly enjoyable novel. I’ve grown to really enjoy Seanan McGuire; her novel concepts are stellar, though her execution sometimes falls a bit short (as in the case of Every Heart a Doorway). I was excited to pick up her latest novella, a speculative take on ghosts and the concept of the Afterlife. Would recommend for some enjoyable afternoon reading, especially if you’re a fan of original supernatural concepts. I read the trilogy when I was very young and I never remembered much about it, except that I liked it but not that much. In preparation for the sequel trilogy, I decided it was high time I revisited the series. I definitely found Northern Lights inspiring, original and enjoyable. Lyra is a brilliant protagonist and I’m looking forward to getting into the rest of the series – I have next to no memory of the next two books! Though I’m not quite as obsessed with the first in Taylor’s new series as I was with her previous; I have to say it’s objectively better. Laini Taylor has clearly grown as a story-teller; her plot and world-building were off the charts and her original concepts always stun me. As ever with a Laini Taylor novel I feel more love for the secondary characters, and always end up wishing for more on their part. Still a fabulous fresh start to a series and I’ll most certainly be picking up the next. I’m not a super fan of Gaiman, but what I do love of his works are on another level. Norse Mythology is one of the good ones, and an exciting foray into a new realm of legend. 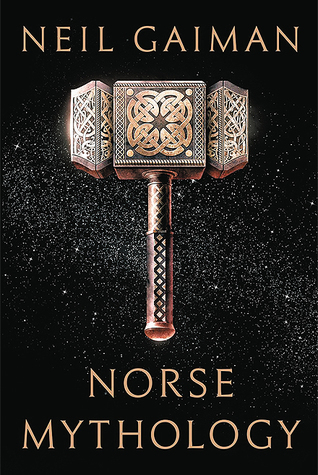 I love folklore, I love fairy-tales, but I was new to the stories of the Norse Gods and I’m so glad Gaiman was the one to introduce me to this epic and funny world. Gaiman’s writing style is perfectly suited to re-telling folklore and I’d love to see him do more. One of the few books to have ever made me cry. It’s a rare gem and I loved it. The second book is still my favourite in this series, but A Court of Wings and Ruin was still pretty much perfection for me. I am going to miss these characters so much, but I’m pleased Maas is going to continue with a sequel series.